Fraudsters adore the fact that everybody loves to travel and can’t resist a bargain. Unfortunately, the world of travel is riddled with scams looking to ensnare the unwary. Booking a hotel through a fake website, fraudsters hijacking the details of villas or using fake details to trick people into transferring money are all common occurrences. How common? 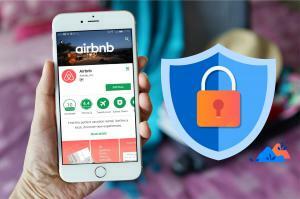 Research suggests that even though Airbnb is one of the safer companies they may have had over a million cases of fraud. ActionFraud had 100 cases a week in 2017 with average losses over £1500. Please read on to help stay safe. Pay Safe – When you pay for any good or service over a £100 with a credit card you are protected by section 75 of the Consumer Credit Act from most fraud. This does not exist if you pay with a debit card or bank transfer. PayPal does have its own protection but is limited to 180 days and is not as all encompassing. Where to rent from and how – Certain websites such as Airbnb and HomeAway have payment protection guarantees to protect you if you pay through their payment system. If an owner asks you to pay outside of the system, (even for a discount), do not do this as it’s a sure sign of a scam. Follow the crowd – Does the villa/apartment have lots of reviews? If not be very cautious. Booking a package holiday – If you are booking a holiday with the flight and accommodation only use companies which are members of ABTA. Click on the link to check if they are members.